Did a prosecutor tell you that there was an open-and-shut case against you for an alleged crime you’ve been accused of? Maybe, the prosecutor has offered you a plea deal for an admission of guilt, warning that there was eyewitness testimony confirming your absolute guilt. You’re punishment will be less if you simply confess your guilt. Do you take the plea deal, even if you’re innocent? Before you say yes, talk to your Toledo lawyer. What you don’t realize is that that eyewitness testimony might not be as reliable as you, or they, may believe. Faulty Memories- The way the brain works to construct memories, our minds can often be easily tricked into believing things that may not have actually happened. This includes the things we think we see. Many psychological factors influence how we remember things. Anxiety or stress can cause us to focus on the wrong aspects of a situation, and then our brains are forced to try to fill in the rest of the details. If other outside people (like police, therapists, or investigators working with the prosecutor) try to help fill in those gaps, it is possible for witnesses to start to believe faulty memories as facts. Witness Misidentification- Statistics show that eyewitness testimony is a significant cause for wrongful convictions in the United States. Some statistics show that up to 75 percent of wrongful eyewitness testimony convictions are overturned because DNA evidence disproves what eyewitnesses claim to be true. Misleading police lineups and suspect sketches can often manipulate witnesses into wrongfully identifying suspects. Distance creates blurriness- Many eyewitness have a difficult time determining exactly how much distance separates them from the alleged suspect and crime. The problem is, the greater the distance between the witness and the incident, the less reliable the testimony. The details of a situation can become hazy, making it difficult to clearly identify the details of the crime that has happened, and the identifying characteristics of the individual involved. Unfortunately, eyewitness testimony still is viewed as an important source of information in criminal cases. 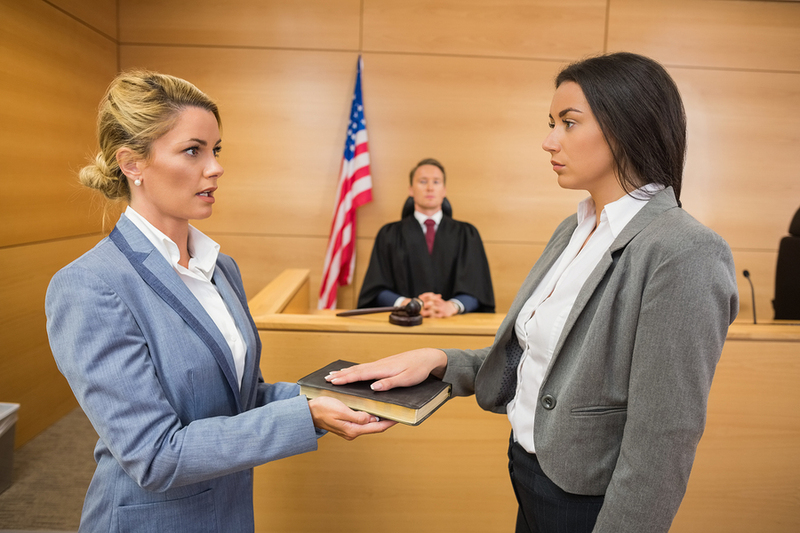 Jurors tend to pay attention to what witnesses have to say in regards to a crime. However, in applicable cases, a skilled defense attorney may be able to prove that the eyewitness testimony is flawed or simply inaccurate. A criminal conviction should not be based on circumstantial evidence or faulty eyewitness testimony. If you’re facing criminal charges, make sure that you talk with an attorney to help you understand all of your legal rights. Whether or not you are guilty, you shouldn’t be convicted based on inaccurate witness testimony. Remember, it is the prosecution’s job to prove your guilt. It’s your attorney’s job to make sure that your rights are protected every step of the way. Call my office today to schedule a free case evaluation. We can sit and talk about your situation and determine what your best options should be.